You old, stock stereo uses front and rear antennas, but newer stereos only use one. 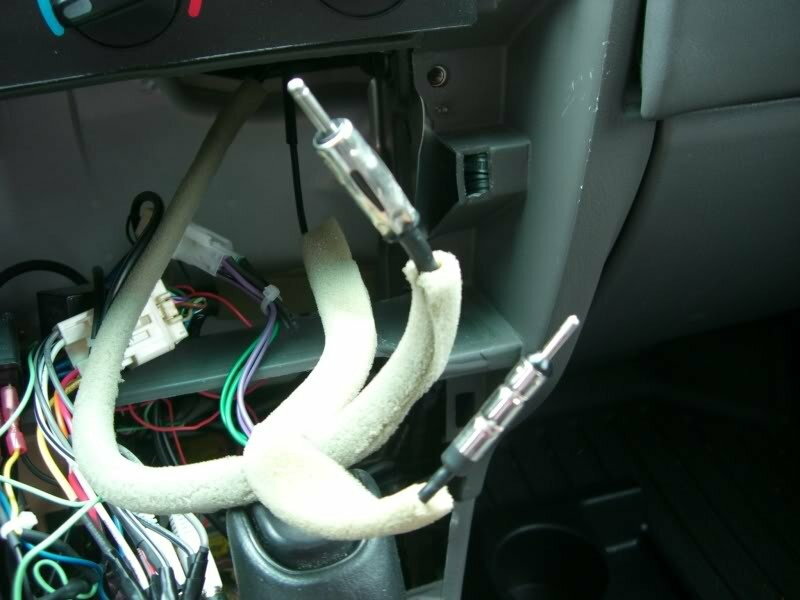 This means that installing an aftermarket stereo in your Tacoma can lead to a drop in reception quality. Here's how to combine the two antennas and vastly improve your reception. Your old, crusty, stock Tacoma stereo uses a rather old school setup of two antennas to receive a signal. The front antenna uses a normal sized antenna jack (like modern stereos), but the rear antenna uses a smaller jack that isn't compatible with aftermarket stereos. This means a big drop in reception quality when you install an aftermarket stereo in your Tacoma, which pretty much defeats the purpose of doing so. Thankfully, however, there is a way to combine both the front and rear antennas into one big antenna, which will vastly improve your reception. Keep reading and we'll show you how to complete this fairly easy and very inexpensive mod. The Scosche adapter converts the smaller rear antenna jack to a normal sized, larger antenna jack. It's pretty easy to install as well. With your factory radio removed, locate the two stock antenna jacks (as shown in Figure 1). Install the Scosche adapter onto the smaller rear antenna jack. Figure 1. 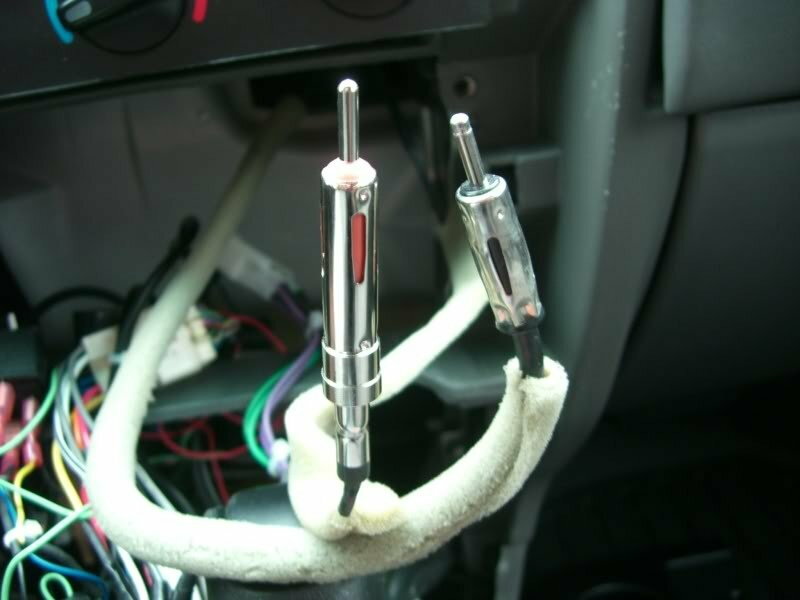 Locate the two stock antenna jacks after removing your factory stereo. Figure 2. Install the Scosche adapter over the smaller, rear antenna jack. Plug the Scosche adapter into one of the two "Y" adapter ends. Plug the front antenna jack into the other "Y" adapter end. 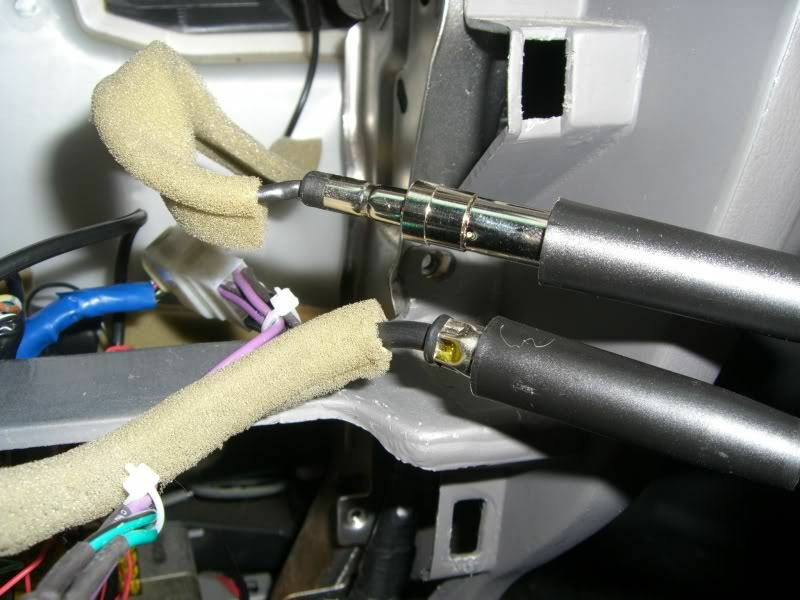 Now, simply plug the other end of the "Y" adapter into the back of your stereo in the antenna slot. Now you've effectively combined the signal from both antennas into one, which should vastly improve your reception! Figure 3. Plug the Scosche adapter and front antenna jack into the "Y" adapter, then plug the other end into the factory antenna jack.